is my first article for them. Hope it’s the first of many! here is one from January 22, 2009. But we couldn’t find Goldilocks! Could bring so many joys.. When we could be happy, and rejoice. The ability to often look back. When each present day is better than the last. Not to remember pain in my, and others’, lives. How would one tune that…and could one program that instrument to produce music that was fed into it in the right format? 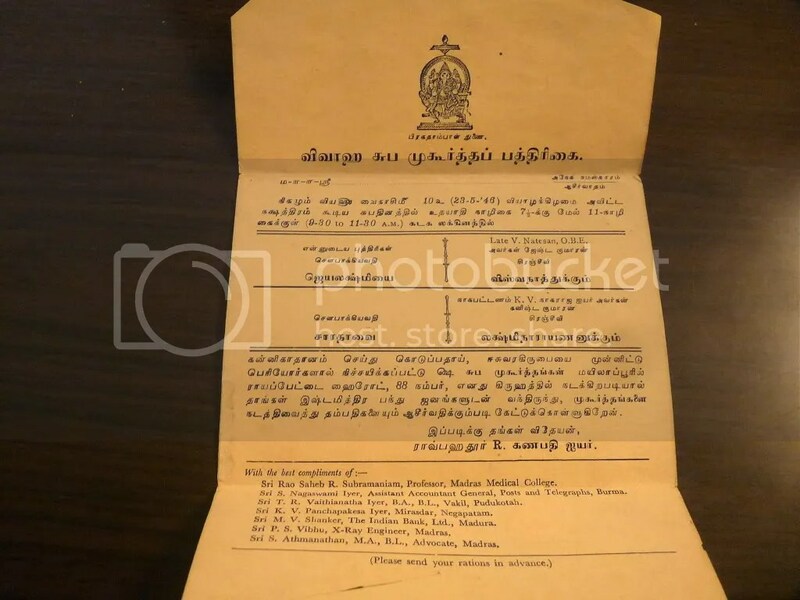 Thanks to my cousin, Ganapathi Vibhu, I got this amazing treasure…the invitation to my parents’ wedding! The invitation asks guests to “send their rations in advance”! ….but this is more about 88, Royapettah High Road now! The aunt who got married in this house, lived there with her husband for many, many years. It was a social hub, with relatives and friends visiting (it’ in Luz, in the heart of Mylapore)….there was a large garden, with mango trees that yielded delicious fruit…a style of life that’s gone for ever now. 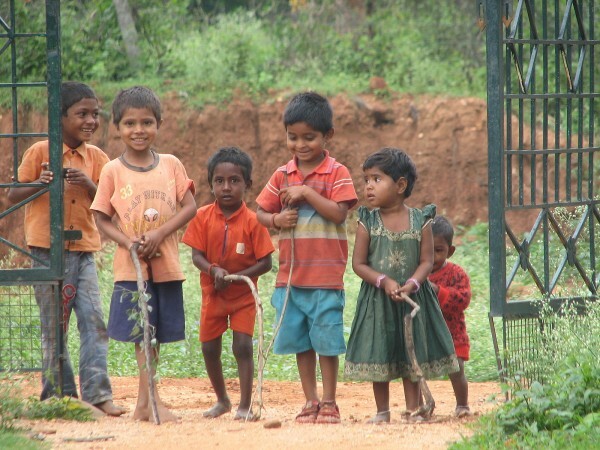 We, as children, used to play in the garden all afternoon, never minding the heat, and we’d be called inside to have “thayir shaatham”…we’d sit around in a circle, and whoever the female relative was in charge, would tell us a story and drop the curd rice into our hands, while banana leaves or banana flower “petals” held vegetables or sambar in front of each child..simple, filling food. My mother’s elder sister (Ganapathi’s parents) moved from Mayilaaduthurai (Mayavaram) and also lived on the first floor for many years. Everyone was very accomplished at academics and music….Vibhu Periappa’s family produced many musicians. 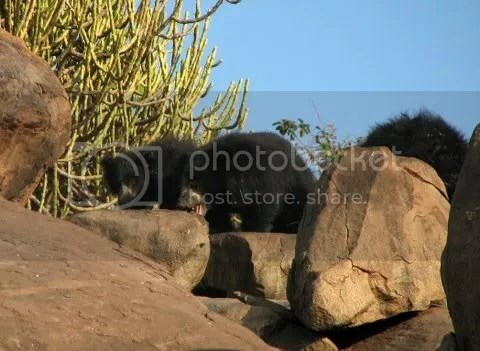 There was a large pooja room, and a ‘dressing’ room…two rooms were sectioned off to give some privacy, but it was mostly communal sleeping arrangements…all of us would spread “paay” (rush mats) on the floor, or “jamakkaalam” (dhurries) and sleep. The servants used to live with my aunt and uncle for over 40 years…Govindan, Annamma (his sister) and their families formed part of the group, too. A feudal system, which worked. My uncle’s office (Amar Dye Chem) driver was Krishnan, and he too was with them for decades.. driving the trusty Ambassador car that they had. 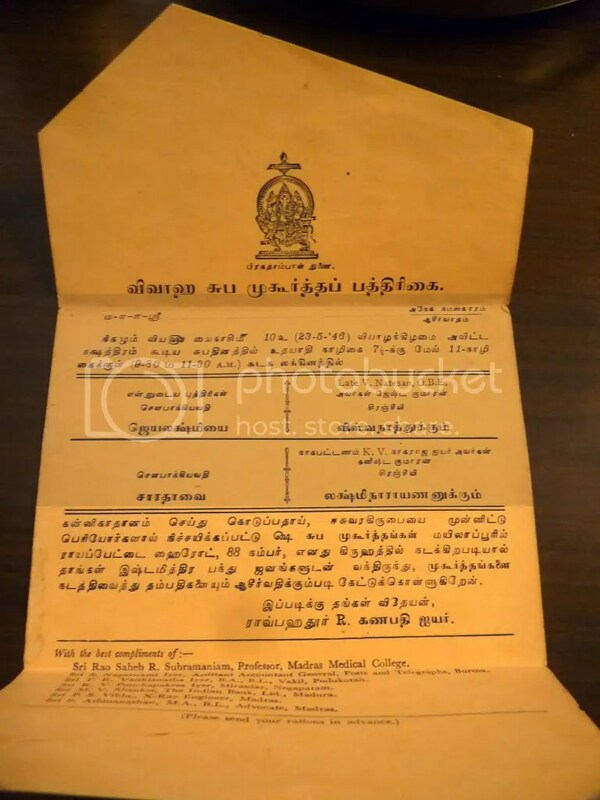 Foodgrains used to come in from the village of Nagaipattinam, to which my uncle belonged…it never occurred to me then that my uncle’s salary could not possibly provide enough for all the people who ate there! My uncle’s family had a business, providing various articles to the Railways, but it was concluded after a while. I remember the ancient, beautiful “easy chair” that my uncle would relax in…the green trees through the big windows…the stately beauty of the high-ceilinged house, where sparrow would make nests in the “cups” above the ceiling fans. The telephone was in a nook under the stairs, and the wall was scribbled over with numbers. We could talk to relatives in other cities only by booking a “Trunk Call” (in three categories, Ordinary, Urgent and Lightning!) and it could take a few days for the call to come through! Women having their periods were segregated to a little, ill-lit, ill-ventilated passage in the back of the house, and they had to use the rustic toilet at the bottom of the garden.They could have their meals only when the others had finished. I can’t say it was a very pleasant arrangement! I know a lot of hypocrisy went on, too, with some women concealing the fact that they were having their periods…or taking “Primolut-C” to delay it during their visit to the house…I wonder how many miscarriages could be attributed to taking estrogen pills indiscriminately. 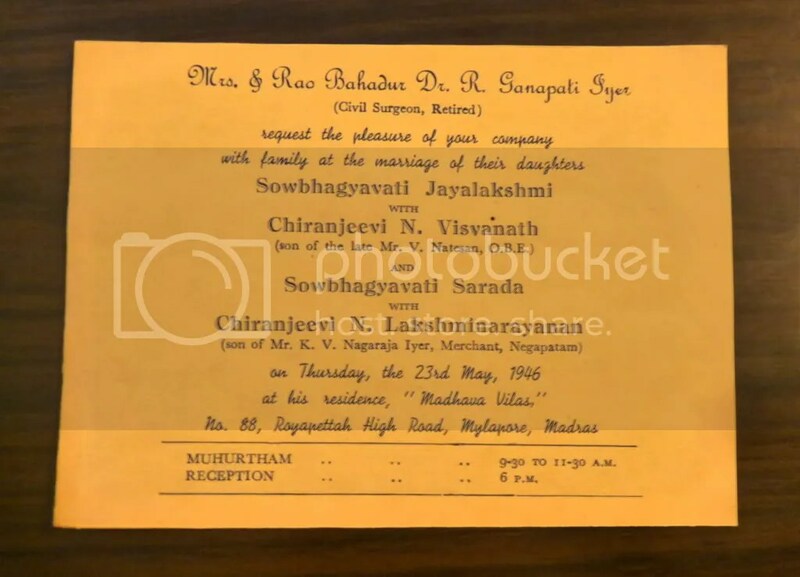 Such random memories occur to me as I gaze at my parents’ wedding invitation…I never knew it was called “Madhava Vilas” (Residence of Krishna)..I remember the beautiful profusion of scarlet Bougainvillea over the front gate, as well as Oleander bushes. Oh well, that was a short peek into the past…rare for me to indulge in nostalgia. I love poems like this which follow the rhythm of their subject..I remember, vaguely, another such poem where the stanzas start with a small, brisk rhythm of words..and then, the words and the rhythm lengthen, as the train pulls tiredly into the station…I wish I could get this poem. is the creatures list that we have compiled. monsoon, and the wonderful beings that we could see and observe. Fejervarya, Indirana, and Nyctibatrachus species…I do not know the others. Spiders: Crab, Giant Wood, Jumping, Lynx, Orb-Weaver, Wolf. Several crabs of all sizes. We missed Ramesh and Shalini very much, as they had to drop out…Ramesh, literally, on the last day. “I didnt have a chance to say this before but we owe you big time. Usually during the weekend runs before the run we are just trying to wake up and prepare for the run and after the run we are way too tired and start wining but if not for you I am not sure if we would have come so far. I am pretty sure we gave you hard time. Showing up late, not downloading the route, getting lost, wining and what not. We must have effortlessly pissed you off but you were there not willing to give up on us. I dont know about others but that resilient quality of yours left a really lasting impression on me. Whenever my body starts complaining about the run I keep thinking the lady is pregnant and doing this and what am I complaining about? You are a real inspiration. “You kept your promise and we will keep ours. We will not let you down. You are currently browsing the Deponti to the world blog archives for September, 2012.